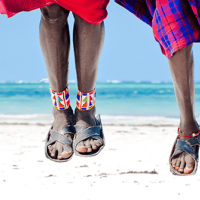 Jumia Travel, in its annual in-depth report released on 3rd July, delves into the country’s travel, tourism, and hospitality ecosystem, looks at the sector’s contribution to Kenya’s GDP, as well as technology trends shaping the hospitality sector. “Having been in the industry for approximately 5 years now, we know how important factual industry data is in making informed decisions,” said Cyrus Onyiego, Jumia Travel Kenya Country Manager while launching the report, now in its third edition. “It is therefore our objective to provide information that will help our partners – hotels, airlines, customers, and other interested parties – in making decisions that will increase their Return on Investment,” he added. The percentage share of the Pay-at-Hotel as a method of payment on Jumia Travel stands at 54% as compared to 26% made via mobile payment. Card payments contribute 14%, still raising the question of credit card security when it comes to online payments. Launched in 2017, Jumia Travel’s offline travel agencies – aimed at converting more offline travelers online – are already contributing 6% to the payments, with a higher percentage expected by the end of 2018. A border-less air transport market will play a big role in eliminating some of the barriers such as airport charges and high levels of taxation in Africa, according to Judy Waruiru, the head of sales and marketing – Jambo Jet. She notes that “this would result in more affordable travel, increased frequencies, as well as create jobs in the aviation sector”. Again, accessibility of flights bookings through the internet is a major element driving Kenyans’ flight culture, as stated by the Commercial Manager of Skyward Express, Kelvin Mwasi. He further highlighted the role of local aviation companies in transforming Kenya’s domestic tourism, by for instance introducing flights to emerging key tourist destinations such as Eldoret and Lodwar. “As we open new routes in the domestic market, we see domestic tourism increasing as Kenyans find it convenient, reliable, and affordable to take regular holidays,” said Mwasi. The travelling patterns and dynamics in Kenya are gradually being reshaped, and so is the resilient nature of the tourism industry. As the Regional Sales and Marketing Director of Serena Hotels – EA Rosemary Mugambi acknowledges, the government has made significant strides in enhancing the industry. “Through the National Tourism Blueprint, the government is identifying new opportunities that should allow the opening of a wider scale of diverse tourism products,” she said, noting that closer partnerships with the private sector and other stakeholders should be expected, to ensure long term sustainability and alignment of tourism products with market needs.